Monsters escaped from the great mage Malthendor’s laboratory ! Help him to send them back by swiping them into their cage, but be careful, some monsters doesn’t get along well and Malthendor will get mad at you if you make too many mistakes ! 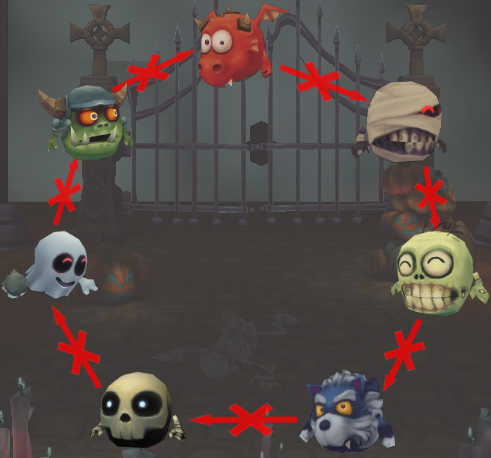 The compatibility wheel will let you know which monsters can be put in the same cage. Learn this wheel! 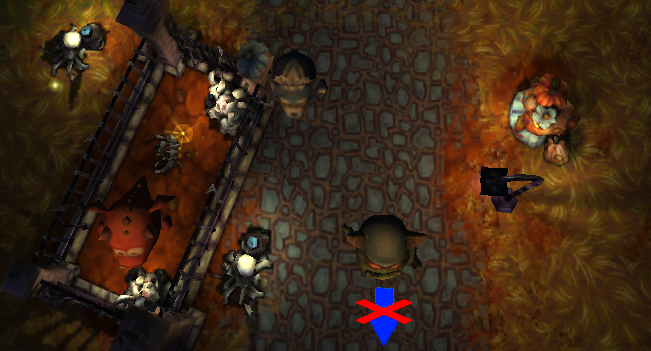 Don’t forget the combinations and put every monster back in the cage ! But be careful, monsters can’t escape the cemetery. Never let a monster leave the screen ! Put them all in the cage!